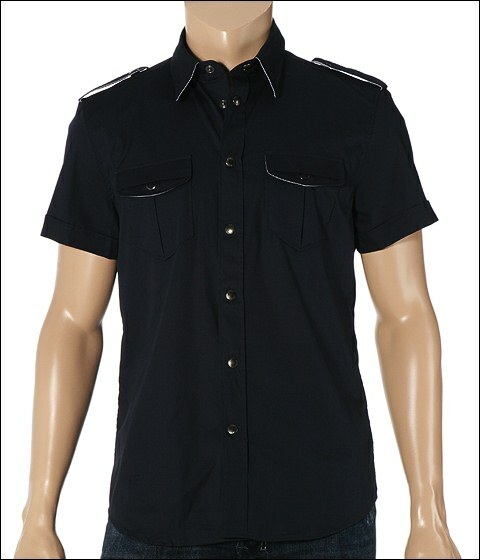 Dance to the beat of your own drum and get some snappy style with this military inspired, short sleeved shirt by Moschino. Snap front. Shoulder epaulets. Stylish snap front flap pockets. Collar, pocket and epaulet edging. Moschino tag on top back of shirt. 94% cotton, 3% spandex, and 3% polyester. Machine wash warm. Imported.